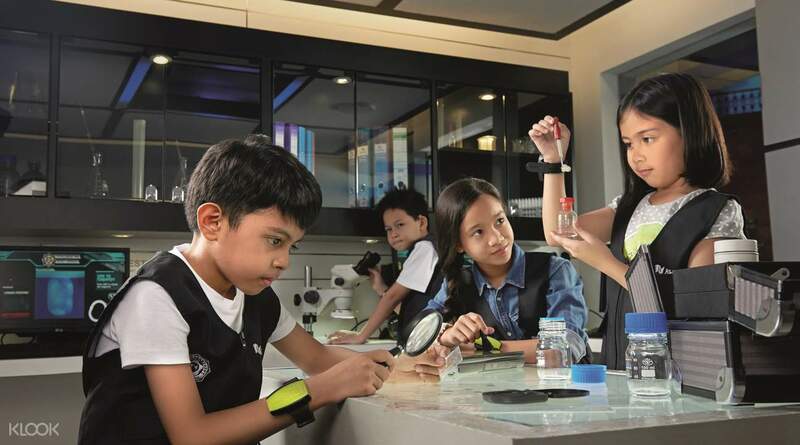 A fun-filled learning experience for your kids! Let your children develop valuable life skills such as responsibility, confidence and independence, to prepare them for the world! 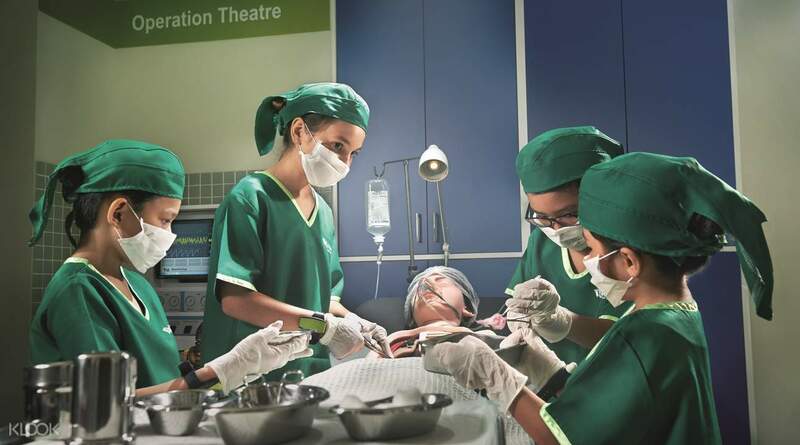 Spend a fun-filled family day when you take your kids to KidZania in Kuala Lumpur. One of the best things to do for the entire family in Malaysia, KidZania is a tiny city for your tiny tots! There, your kids are free to choose from several careers and get to simulate what it is to be a doctor, a newspaper columnist, a fireman and more! Inside the city, your kids will also earn money and get to spend it on services or choose to go shopping! At the end of the day, whatever they decide to do, and whatever career path they decide to go on—they take home lessons and life-skills that will definitely prepare them for the future. A win-win situation for everyone involved, and for such a small price to pay too! Or see what the inside of a cockpit looks like, and fly planes just like a pilot! Very Interesting place...Fun for my 8 year old...You cant complete all activity in a day...It is better if you are there at the venue at 10 am itself so that you can cover maximum activity..Lot of small school children till 2 PM, the place was quite empty after that...Limited food for vegetarians..spring roll, ice cream and samosa. Very Interesting place...Fun for my 8 year old...You cant complete all activity in a day...It is better if you are there at the venue at 10 am itself so that you can cover maximum activity..Lot of small school children till 2 PM, the place was quite empty after that...Limited food for vegetarians..spring roll, ice cream and samosa. This is a must try for the kids. My daughter had a great experience here. She enjoyed a lot doing different kinds of activities. They have 90 activities to choose from. Musch better if u bought ticket here from klook. I booked our ticket here in klook when we arrived at the kidzania the ticket are already sold out for that day. That was the advantage of buying ticket online than a walk in customer. Thanks so much klook. This is a must try for the kids. My daughter had a great experience here. She enjoyed a lot doing different kinds of activities. They have 90 activities to choose from. Musch better if u bought ticket here from klook. I booked our ticket here in klook when we arrived at the kidzania the ticket are already sold out for that day. That was the advantage of buying ticket online than a walk in customer. Thanks so much klook. Took my eldest daughter there for the first time. She had a great time and really enjoyed herself. Location wise, very strategic. Parking charge was flat rate which is really good. Food choices, not so much. Some of the establishments were not opened on the day of our visit and some were closed for good. At one point, could not feel the A/C maybe it was too hot or there was too many people. We spent 7 hours in there and were totally exhausted 😅 Overall, it was an awesome experience for the kids especially my 7 year old daughter. Took my eldest daughter there for the first time. She had a great time and really enjoyed herself. Location wise, very strategic. Parking charge was flat rate which is really good. Food choices, not so much. Some of the establishments were not opened on the day of our visit and some were closed for good. At one point, could not feel the A/C maybe it was too hot or there was too many people. We spent 7 hours in there and were totally exhausted 😅 Overall, it was an awesome experience for the kids especially my 7 year old daughter. my daughter had great experience with role playing different occupations. I was concerned she was too young. we really had a fun morning at Kidzania: little one was a newspaper delivery girl, insurance agent, scientist, dancer and model. Many more visits next time for sure....thanks KLook for the savings. my daughter had great experience with role playing different occupations. I was concerned she was too young. we really had a fun morning at Kidzania: little one was a newspaper delivery girl, insurance agent, scientist, dancer and model. Many more visits next time for sure....thanks KLook for the savings. Good experience. Ticketing counter opened at 9.30am so for those arrived early or with online bookings can register first. Though normal opening hour started at 10am but they allowed us to enter 15mins earlier. Good experience. Ticketing counter opened at 9.30am so for those arrived early or with online bookings can register first. Though normal opening hour started at 10am but they allowed us to enter 15mins earlier. Kids love all the games,they are enjoying be a worker,is a Good experience for them.parent must smart for those favourite Job It would had time to collect sticker,the sticker will had a time after collect It before 5min of the time need to come back to join.It had a passport for kids to earn extract and collect stamp and discount It must registed and paid before they start work.parent was nothing to do can go parent cafe at upper unit. Kids love all the games,they are enjoying be a worker,is a Good experience for them.parent must smart for those favourite Job It would had time to collect sticker,the sticker will had a time after collect It before 5min of the time need to come back to join.It had a passport for kids to earn extract and collect stamp and discount It must registed and paid before they start work.parent was nothing to do can go parent cafe at upper unit. Overall it was a great activities for kids . Kids had an awesome experience at kidzania. Booked via klook , it was much cheaper than book directly from kidzania website . Once the booking has been confirmed, klook will send the voucher via email or download the voucher via klook app . Overall it was a great activities for kids . Kids had an awesome experience at kidzania. Booked via klook , it was much cheaper than book directly from kidzania website . Once the booking has been confirmed, klook will send the voucher via email or download the voucher via klook app . Mouse mommy loves to bring along kid MR to KidZania KL to learn life today! In conjunction of Christmas celebration, got parent-kid cooking workshop to DIY our own Christmas Gingerbread House! Nice parent-kid bonding moments. Many role play job for children to explore. Got 1 new establishment- Faber-Castell spotted inside there. Will revisit again during CNY! Mouse mommy loves to bring along kid MR to KidZania KL to learn life today! In conjunction of Christmas celebration, got parent-kid cooking workshop to DIY our own Christmas Gingerbread House! Nice parent-kid bonding moments. Many role play job for children to explore. Got 1 new establishment- Faber-Castell spotted inside there. Will revisit again during CNY! This Kidzania may not seem big (still bigger than the one in Singapore) but the "shops" are smaller, thus there are plenty of jobs to go around! Yet the queues are insane! But it was an enjoyable experience for the young ones as they get to try some unique jobs, such as vitamin researcher and secret agent! There is also a secret within..go discover it yourself! This Kidzania may not seem big (still bigger than the one in Singapore) but the "shops" are smaller, thus there are plenty of jobs to go around! Yet the queues are insane! But it was an enjoyable experience for the young ones as they get to try some unique jobs, such as vitamin researcher and secret agent! There is also a secret within..go discover it yourself!